On January 24th from 6 p.m. to 9 p.m., the Rec Center was closed off completely to men to give women a night to themselves to focus on their physical and mental wellness. Ladies’ Night featured female-led group fitness classes—including Starlight Stretch on the roof with an all-female staff. This event did not only focus on physical wellness, but also allowed a space for women to have fun, unwind and focus on their own emotional wellness. Various clubs and departments on campus contributed to give the women of CBU complimentary manicures, henna, chair massages and t-shirts. Ladies’ Night was started three and a half years ago the fall after the Rec Center opened in 2013. The purpose behind Ladies’ Night is to offer women a night to try something new or a place to work out without feeling intimidated by the opposite gender. Along with all the classes and amenities, Ladies’ Night offered women a chance to write down a lie about themselves they are inclined to believe. The lie was then covered in scripture and replaced with truth. 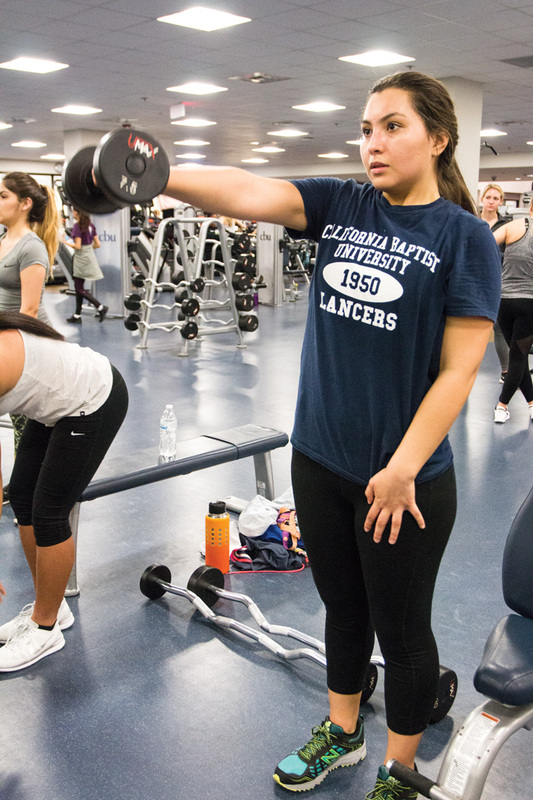 Plummer’s hope is that Ladies’ Night will empower women to come back to the Rec with more knowledge and confidence in working out and staying active. The Rec Center also offered a Men’s Night on January 19th as an evening strictly for the men of CBU. Men’s Night featured free haircuts and a variety of different competitions that the women’s event did not. The next Ladies’ Night will be in the 2017 fall semester.